The mother took the picture from her little Emma’s hands. Studied it for a moment. And agreed with the teacher. “What were you studying?’ She asked. “The birth of Jesus” Emma replied. “This is wonderfully drawn, but why do you have all of the people riding in the back of an airplane?” The mother gently asked. “That’s Pontius the Pilot,” she said now visually impatient. Like little Emma, it’s possible to hear the thrilling narrative of Jesus’ birth, but miss or misunderstand some of the key elements. We can see replicas of the manger scene. Look at pictures of the Christ child. Hear songs about his birth. Yet, not really see Him who is God. In one of the great verses of the Bible the prophet Isaiah who lived over 700 years before Jesus was born issued this prophetic utterance. “Therefore the Lord Himself will give you a sign: Behold, the virgin shall conceive and bear a Son, and shall call His name Immanuel” (Isa 7:14). Here’s the clear and unmistakable conclusion of the inspired Bible writer, Matthew. Dr. Luke also confirms that Mary was a virgin. When Mary questioned the angelic announcement, “How can this be since I am a virgin?” The angel affirmed, “nothing will be impossible with God” (LK. 1:26-37). Isaiah’s Messianic prophecy was accurate. And it was fulfilled in the first century in the person of Jesus of Nazareth. Those who celebrate Jesus as just a good man, a great teacher, a moral reformer, or one of many founders of a world religion, miss the point. And they miss it badly. Jesus was a common name of the day and was chosen by God. It speaks to his humanity. He was a man. He experienced the thoughts, trials, and temptations that we encounter. But the man means “Savior.” He came to “seek and save the lost.” To save us from our sins. But “Immanuel” describes who He is–“God with us.” Jesus is the Son of God. The Creator came down. Lived among men. And while He arose again from the dead to ascend to the Father, He is with us always. 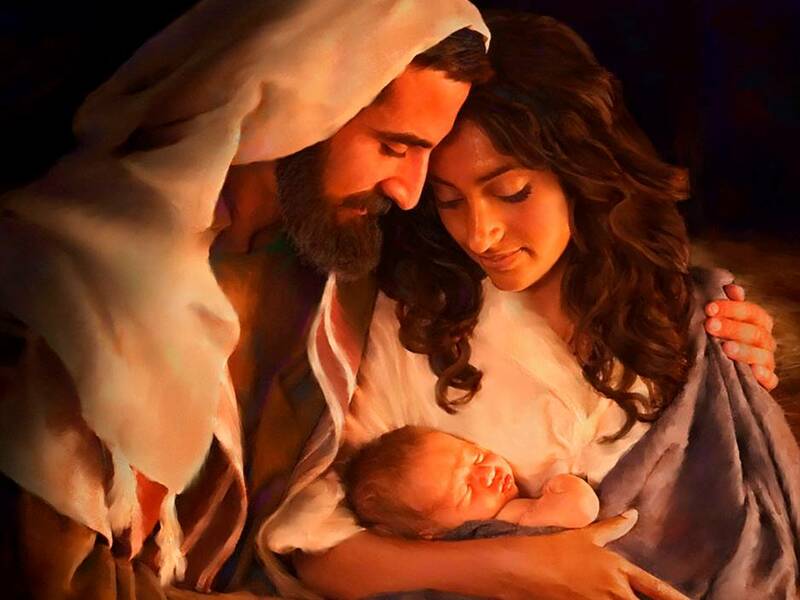 The Bible picture of Jesus differs from the misconceptions of those who only offer lip service to baby Jesus. He calls us to come to Him. He is the only way to the Father. The embodiment of Truth. And life and light to all humanity. You are the best at an applicable story to fit the bible lesson. You get our attention so that we will listen for the rest of your lesson. Thanks, Billie. I appreciate your kind words.